La Costa Ridge sits, at its apex, at one of the highest points in all La Costa. Both the views and these La Costa homes are stunning. This newer and upscale development also sits adjacent to the La Costa Preserve and its 1000 acres of protected space and miles of biking and hiking trails. 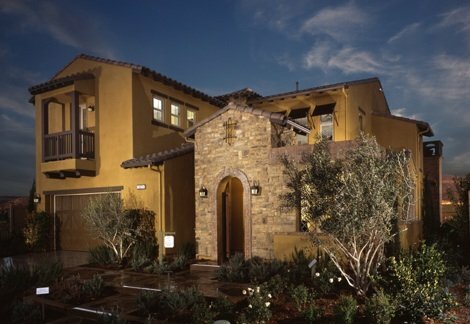 Homes in La Costa Ridge range from 2500 to over 5300 square feet, and the community is served by the San Marcos School District. Listed below are all current listings of homes for sale in La Costa Ridge–and the information is updated daily. If you would like more information about the community or would like to see any of these properties, please give Roberta or Scott Murphy a call at 760-942-9100 or 760-613-6190. We live and work in La Costa! Gorgeous home in an excellent location is priced to sell w/ocean views, nestled on quiet cul-de-sac in the exclusive gated community of La Costa Ridge. Features high end finishes & upgrades, 20 panel solar system, master suite w/large retreat, fireplace & balcony to enjoy coastal breezes & sunsets, lux master bath, dual stairways, parlor, office, covered patio, 4 car garage, butler pantry, granite counters, stainless steel appliances, morning room, three fireplaces & wood floors. Please read supplement. To search all Carlsbad and La Costa homes for sale, just enter your search criteria in the bar below–and peruse in peace!